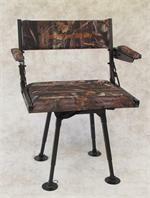 CLOSEOUT ComfortQuest Sport Chairs used as demo chairs for Trade Shows. In good condition with no structural defects. May have minor paint blemishes. Includes carry bag, turf feet, instructions and 90 day warranty. 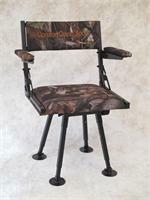 CLOSEOUT ComfortQuest BIG BOY Sport Chairs used as demo chairs for Trade Shows. In good condition with no structural defects. May have minor paint blemishes. Includes carry bag, turf feet, instructions and 90 day warranty. 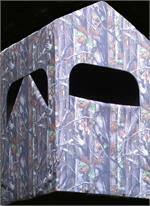 CLOSEOUT ComfortQuest 4x4 Blinds used as demo blinds for Trade Shows. In good condition with no structural defects. May have minor paint blemishes. Includes carry bag, instructions and 90 day warranty.